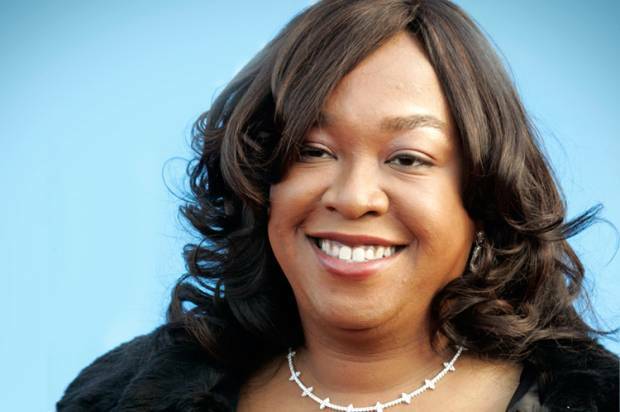 By Willa PaskinShonda Rhimes, the creator of ABC’s “Grey’s Anatomy,” “Scandal” and the recently ended “Private Practice,” is one of the most prolific and powerful creative forces working in network television. (Only Chuck Lorre, who has three sitcoms on CBS, has as many series on the air.) In its ninth season, “Grey’s” remains one of the most highly rated dramas on television. In its second, “Scandal” has hit its bonkers creative stride. ... Rhimes spoke with me about why everyone keeps insisting Olivia Pope is a good guy, how much she hates it when people call “Scandal” a guilty pleasure, and her bafflement by the lack of racial diversity on TV in 2013. How much pride do you take in the fact that your casts are much more racially diverse than most other shows? I don’t take pride in it at all. I think it’s sad, and weird, and strange that it’s still a thing, nine years after we did “Grey’s,” that it’s still a thing. It’s creepy to me that it’s still an issue, that there aren’t enough people of color on television. Why is that still happening? It’s 2013. Somebody else needs to get their act together. And oh, by the way it works. Ratings-wise, it works. People like to see it. I don’t understand why people don’t understand that the world of TV should look like the world outside of TV. Like, why is there an assumption of whiteness on television? It’s very weird to me. I think there are some people who work really hard at it. I think J.J. Abrams really goes out of his way to try to make television look diverse. I think it’s happening. And I think that some people just assume whiteness, because that’s what they see. It’s weird. Do you feel like that’s because it is mostly white guys making TV? I don’t think it’s about that. I really don’t. J.J. Abrams is a white guy, he does it. Norman Lear, years and years and years and years ago, did it. I think it’s ridiculous, that the networks don’t demand it more. I think it’s crazy that the person who everybody asks this question of is me. Everyone always says to me, “Why aren’t there more people of color on television?” I’m like, “Why don’t you ask a bunch of people who aren’t putting people of color on television why there aren’t more people of color on television.”Comment: Let's repeat the key lines:It’s creepy to me that it’s still an issue, that there aren’t enough people of color on television. Why is that still happening? It’s 2013. Somebody else needs to get their act together. And oh, by the way it works. Ratings-wise, it works. People like to see it.In other words, the immensely successful Rhimes agrees with what I've said many times: that diversity works, ratings-wise. That it sells. So Hollywood's excuse that they care only about the bottom line is just that: an excuse. If you care about making a profit, tell more minority stories with minority actors. Thirty-six percent of the country is waiting for stories about them. For more on the subject, see NBC Heritage Month Special and Revolution and TV Diversity.